When it comes to accounts receivables, all billers have the same objectives: deliver the bill quickly and cost effectively, AND receive payment in the shortest possible timeframe. Once established, these costs and timeframes are, however, difficult to continually improve upon. In today’s Newsflash we look at a very exciting new payment option ~ payment directly from within an email bill, without customer pre-registration and without the need to visit a website. If this is the first time you are receiving a digitally signed email (and you use Microsoft Outlook or Express), click on the red rosette on the upper right hand corner of this email. The digital signature verifies the sender and ensures that the mail has not been tampered with in transit. In order to fully complete the bill presentment and payment cycle, efficient secure email bill payment is a top priority. Being able to deliver a bill securely via email is in itself convenient; being able to receive payment instantly from within the email bill is a unique and very compelling offering. No customer pre-registration (this equals maximum adoption). No requirement to visit a website. No need for ‘faster than modem’ dial-up Internet access. No need to enter sensitive information into a website. The complete solution also offers the ability to pre-populate payment information for future transactions and an exciting opportunity to drive Auto-pay enrollment. Step 1: The biller captures their customer’s email address, either at account sign-up, over the phone, or at any other customer contact opportunity. Step 2: The biller sends their customer an introductory email informing them about the email bill service, how it works, why it is secure and other relevant information. Step 3: The biller delivers the secure eBill to their customer who then decrypts it. They therefore have a digital replica of his paper bill, represented in an offline format, on their own computer. Step 4: Alongside the Amount Due field, is a ‘Striata BillPay‘ button, as well as necessary capture fields for the customer’s banking information. (This only has to be entered the first time.) These can be check (ACH), credit or debit card. (Whichever the biller offers.) The customer completes the required three fields and clicks on ‘Striata BillPay‘ to submit their payment. Payment submission is instant. Step 5: The customer then receives a payment confirmation pop-up as well as an email (both of which are great marketing opportunities). Step 6: The biller receives the funds directly into their account as well as an automated ‘Accounts Receivable’ daily batch file. Striata has been hard at work with our payment processing partners. We now have the entire process, secure bill delivery, presentment and check payment, down to under 40c per bill. This represents a saving of at least 50% on current paper-based bill delivery and payment. Remember: as with all Striata solutions there is no upfront software purchase, so ROI is positive from day one. With increased volume, we expect this to be under 30c within a few months. BillPay adoption is largely determined by the ease-of-use of the payment option offered. 81% of Americans are regularly using email with up to 35% reporting ‘constant’ usage (2004 DoubleClick Survey). 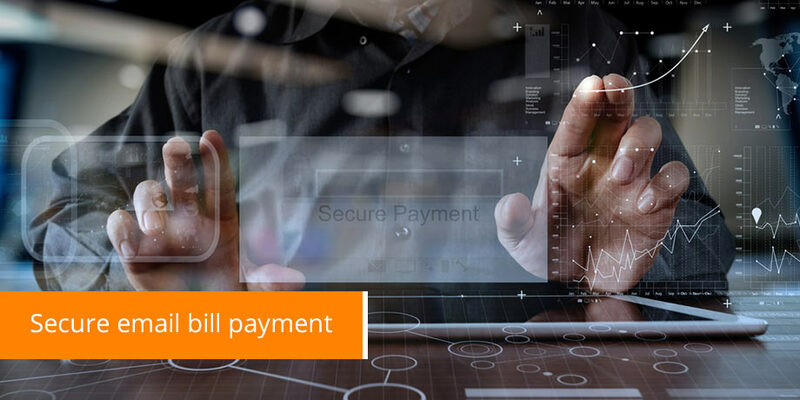 By delivering your bill and taking payment securely via email, you are offering your customers the most convenient BillPay option available today. Striata has three payment partners, all of which are fully integrated and tested with the Striata Application Platform. Please do not hesitate to contact us for a detailed demonstration.